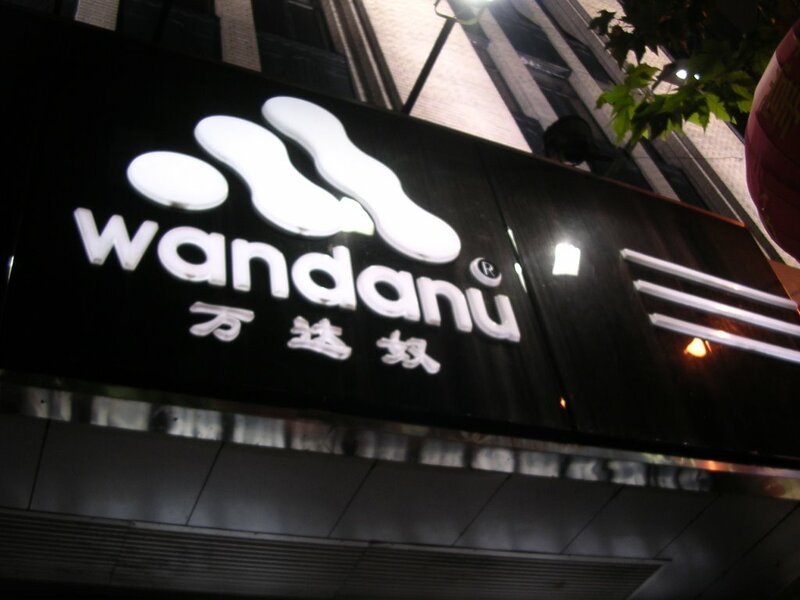 From a distance you could be entering a Starbucks store or and Adidas store. 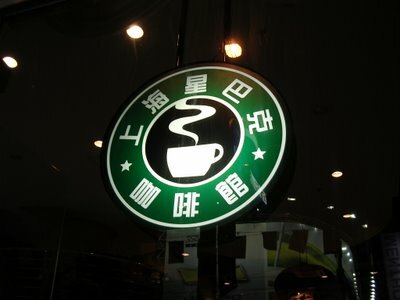 I'm told that the names are Mandarin pronunciation of "Starbucks" and "Adidas". The ideograms don't make sense otherwise. 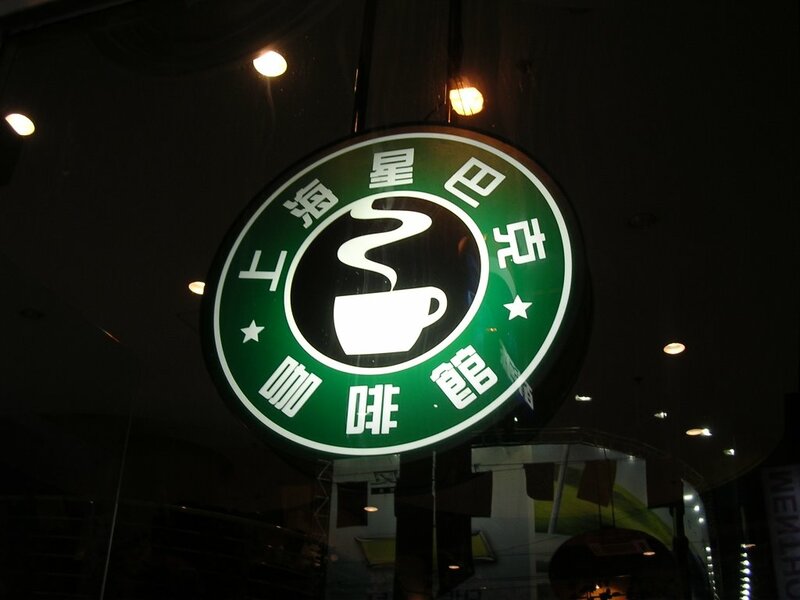 The pseudo Starbucks has the characters saying "Shanghai" Starbucks. The imitated Adidas store has the words, "United States" Adidas.